KHI & LHE - all flights suspended from Feb 17th 2010 citing commercial reasons. MUC - new 5 weekly nonstop flights to be launched using a B 773ER. SQ will have full 5th freedom traffic rights on the MAN-MUC-MAN sector. MAN - frequencies increased from 3 to 5 weekly flights all flown via MUC using a B 773ER. BOM - frequencies increased from 11 weekly to double daily using B 773s. DEL - frequencies increased from 11 weekly to double daily using B 773s. CMB - frequencies increased from 5 weekly to daily nonstop flights using a B 772. DAC - frequencies increased from 5 weekly to daily nonstop flights using a B 772. EWR - frequencies increased on this nonstop SIN-EWR flight from 5 to 7 times per week using an A 345. ICN - frequencies increased from double daily to 18 times per week. SGN - frequencies reduced from 18 weekly to double daily nonstop flights. GRU - capacity to be increased from daily B 77L to daily B 773ER. PEK - capacity to be increased to daily B 773ER + daily A 345. 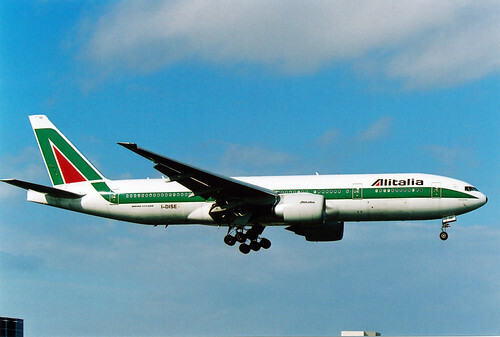 NBO - capacity to be increased to daily B 772ER + daily A 343. CMB/SIN - frequencies to be increased from 5 weekly to daily flights using a B 773ER. MEL/AKL - capacity to be increased from daily A 345 to daily B 773ER. JNB - capacity to be increased to triple daily flights using a B 773ER for all services. SEZ - frequencies to be increased from 5 weekly to daily nonstop flights. DME - capacity to be increased to daily A 345 + daily B 773A. ACC/ABJ - in-flight product to be upgraded from daily A 343 to daily A 345. 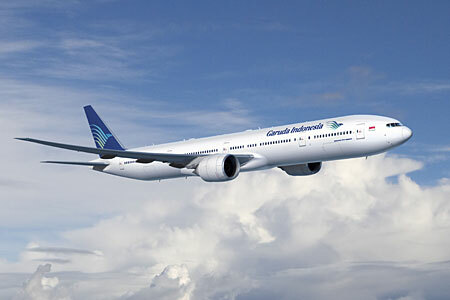 ATH - capacity to be reduced from daily B 773A + daily A 332 to daily A 345 + daily A 332. KRT - capacity to be increased from daily A 332 to daily A 345. VCE - capacity to be increased from daily A 332 to daily A 343. Egypt Air has officially confirmed that it will be reducing capacity to Bangkok and Guangzhou from March 28th. With regards to CAN, all 4 weekly flights currently flown via BKK using a B 772ER will be replaced by an A 332. On the other hand, BKK bound flights too see a capacity reduction from daily nonstop B 772ERs to daily A 332s. PIA has revealed on the GDS that it will be increasing capacity on its flights to BCN-Barcelona, Spain from January 18th onwards. Currently, it operates a twice weekly service from Pakistan (once a week each from LHE and ISB respectively) nonstop to BCN using an A 310-300 which will then change to the larger Boeing 777-200ER. 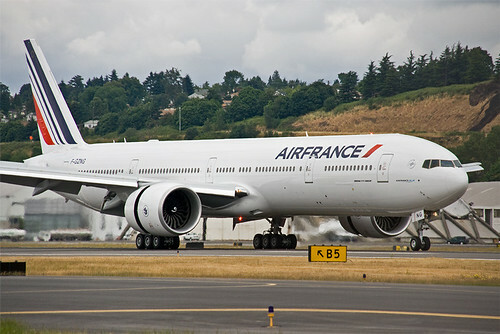 Air France has officially announced that it will be launching new 5 weekly nonstop flights to AUH-Abu Dhabi, UAE from May 3rd 2010 and at the same time reducing its flights to DXB-Dubai, UAE. 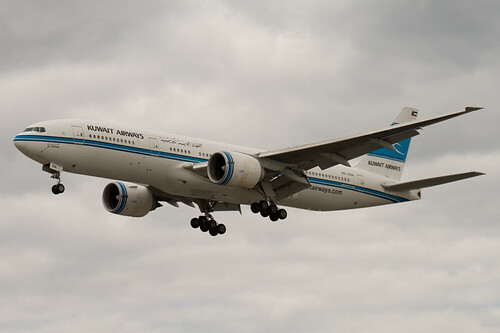 It will be using an A 330-200 to operate to AUH nonstop from its CDG hub base. With regards to DXB, frequencies will be reduced from 12 weekly to daily nonstop flights which will be flown using a B 777-300ER instead of a B 777-200ER. SFO - capacity reduced from 12 weekly B 773ERs to 10 weekly B 773ERs + 2 weekly B 744 Combis. 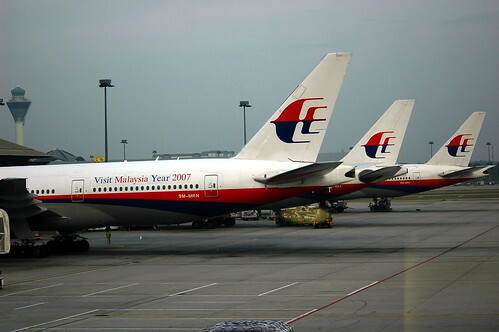 SEA - capacity reduced from 5 weekly B 744s to 5 weekly B 773ERs. British Airways has officially announced that they are increasing flights to TIP-Tripoli from Feb 13th 2010 onwards. Currently, daily nonstop flights are being flown using an A 320, however this route will now see double daily nonstop service largely catering to the "oil sector" originating from USA and UK that have now significant financial interests in Libya's oil sector development. Both flights will be operated using an A 320. 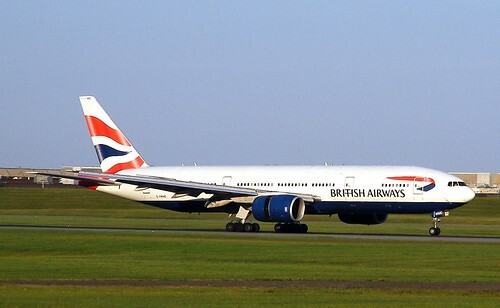 In addition to TIP, BA have also confirmed that it will be further reducing capacity to YYZ-Toronto for the entire Summer 2010 IATA season from a double daily B 772ER operation to a daily B 772ER + daily B 763ER service. 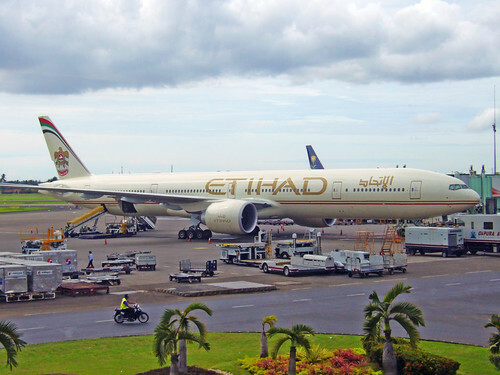 Etihad Airways has officially announced that it will be increasing flights to KTM-Kathmandu, Nepal from January 1st 2010 onwards from the current 4 weekly to daily nonstop flights. All services will be operated by a 2 class configured Airbus A 330-200. Etihad Airways has officially confirmed that it will be increasing frequencies to DUB-Dublin, Ireland from March 28th onwards. Currently, daily nonstop flights are flown using a 2 class A 332, however these shall be increased to 10 weekly nonstop flights using a 2 class A 332 as well. FCO/NRT - frequencies increased from daily to 9 weekly nonstop flights using a B 772ER. MXP/NRT - frequencies remain as they are at 3 weekly nonstop flights using a B 772ER. United Airlines has officially confirmed that it will be increasing capacity on one of its flagship trans-atlantic routes i.e. 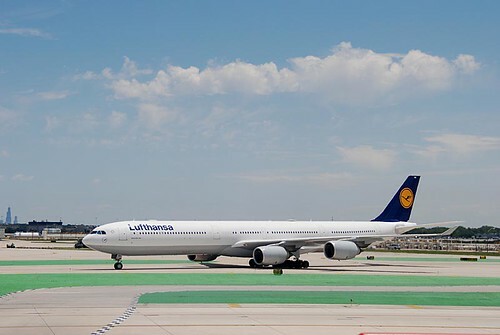 San Francisco-Frankfurt for the peak summer season i.e. from May 1st till Aug 30th only. Currently, the route is being flown nonstop using a B 772ER but this shall change to a larger Boeing 747-400. Emirates has officially announced that it will be launching new flights to NRT-Tokyo Narita from its Dubai hub from March 28th 2010. EK will operate the route 5 times per week nonstop using a 3 class configured Boeing 777-300ER which will have its new "Sky Suites" first class product. Its Tokyo flights connect beautifully in both directions to Brazil and all African + European destinations via Dubai. Emirates has officially announced that it will be launching new daily nonstop flights to AMS-Amsterdam, Holland from May 1st 2010. 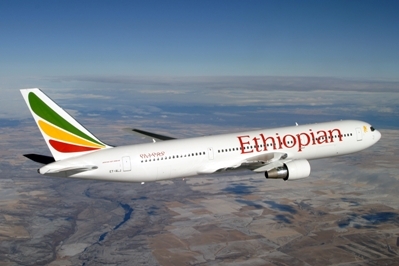 EK will operate the route using a mixture of 3 class configured Boeing 777-300ERs and Boeing 777-200LRs. These flights connect very well in both directions to all of EK's flights to Southeast Asia, Australia and East/Southern Africa via their DXB hub. EK will compete with KLM on this sector on which the latter i.e. KLM flies 10 weekly B 772ERs nonstop. YYZ - frequencies increased from daily to 10 weekly nonstop flights using a B 773ER for all of the flights. LAX - frequencies increased from double daily to 17 weekly nonstop flights i.e. daily B 744 + 10 weekly B 773ERs. Excellent moves by CX. I would personally recommend them to seriously contemplate launching new flights to BRU flown via DXB with full 5th freedom traffic flights. The ideal aircraft for such a sector would be a 2 class configured A 333 which has their new J class product. They will get a lot of high yielding premium and cargo traffic to/from BRU due to it being both a political and financial capital of the EU. YYZ - capacity reduced by 38% i.e. from daily B 744 to daily A 343. BLR - frequencies reduced from daily to 6 weekly flights using an A 332. SFO - frequencies increased from daily to 10 weekly nonstop flights from June 22nd i.e. 3 weekly A 343s + daily B 773ER. KIX - capacity reduced from daily B 773ER to 4 weekly B 773ER + 3 weekly B 772ER. YUL - frequencies reduced from 4 to 3 daily flights i.e. daily B 773ER + daily B 744 + daily B 772ER. DTW - eff June 21st, capacity increased from daily A 332 to daily B 772ER. 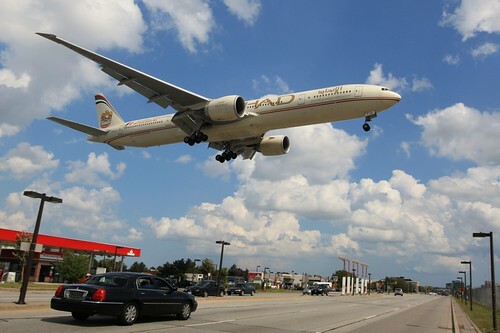 ATL - eff June 21st, capacity increased from daily B 772ER to daily B 744. SEA - capacity increased from daily A 332 to 3 weekly A 343s + 4 weekly A 332s. JFK - frequencies increased from 5 to 6 daily nonstop flights. ICN - capacity reduced from daily B 773ERs to 3 weekly B 773ERs + 4 weekly B 772ERs. NBO/DAR - capacity increased from 5 weekly A 332s to 5 weekly A 333s. BOM - frequencies increased to 6 weekly nonstop flights using its new A 333s. DEL - capacity increased to 5 weekly flights using its new A 333s. DXB/MCT - capacity increased to daily A 333s. KLM has officially announced that it will be increasing capacity on its new route to DPS-Bali, Indonesia from January 21st 2010 by adding a 4th weekly flight to the city which will be flown via Singapore. This extra frequency will be maintained throughout the year and all flights will be flown using a Boeing 777-300ER. Gulf Air has officially announced that it will be reducing flights to BKK-Bangkok from the on set of the IATA Summer 2010 season. Currently, 10 weekly nonstop flights are flown which will be reduced a daily service only using an A 332 six times per week and an A 343 once a week. The schedule is also varied as 5 flights arrive back into BAH at 1315 where as the remaining 2 arrive into BAH at 2320 local time. Thai Airways has officially announced that it will be increasing its flights to ATH-Athens, Greece from March 28th 2010. TG will launch an additional 4th weekly flight flown nonstop from its Bangkok hub using an Airbus A 340-500. 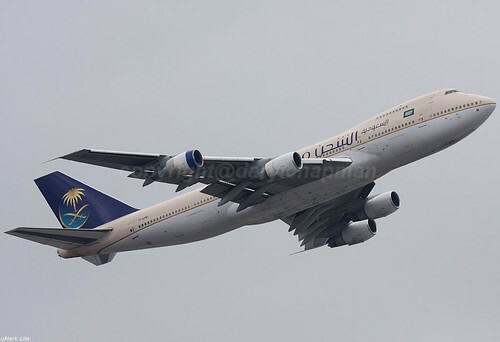 The remaining 3 weekly flights are also operated by an A 340-500. Thai Airways has officially confirmed that it will be increasing its flights to BNE-Brisbane from January 16th 2010 from the current 5 weekly to 10 weekly flights operated in a varied manner. 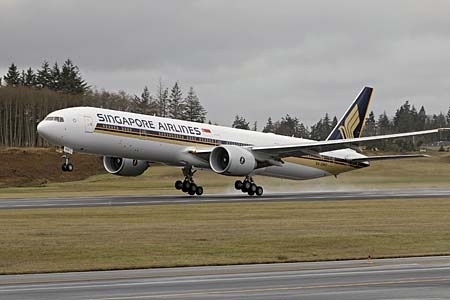 Daily flights will be flown via SYD using an A 340-600 which will see BNE getting first class service for the first time and the remaining 3 weekly flights will be operated nonstop from BKK using a B 772A. Thai Airways management has revealed to the media that they are going to be re launching nonstop flights from Bangkok to New York City in the near future but this time to EWR-Newark airport and not JFK as the former is a Star Alliance hub with Continental Airlines being the dominant home based airline. 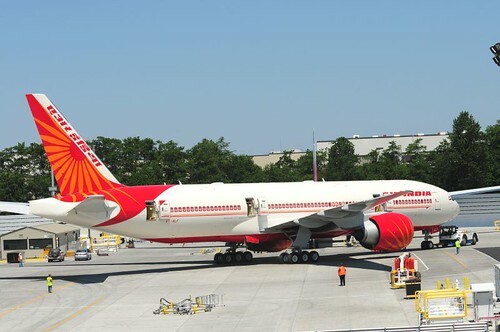 It will be re launching New York services because it is unable to find any airline or leasing company willing to buy its fleet of A 340-500s hence! TG also said that for this route it will be removing its Premium Economy cabin product from this aircraft which will result in a 25% increase in capacity as currently TG's A 345s seat 215 pax but will in the future accommodate 260 in a 2 class configuration of J and Y. South African Airways has been confirmed to have signed a leasing deal with Aircastle aircraft leasing company for the procurement of 6 brand new Airbus A 330-200s which shall be delivered from 2011 onwards. SAA will be using these aircraft to gradually replace its entire fleet of 6 A 340-200s to Europe and South America. Sorry I was on vacation hence couldn't update this website for a month. I shall do so on Dec 23rd.